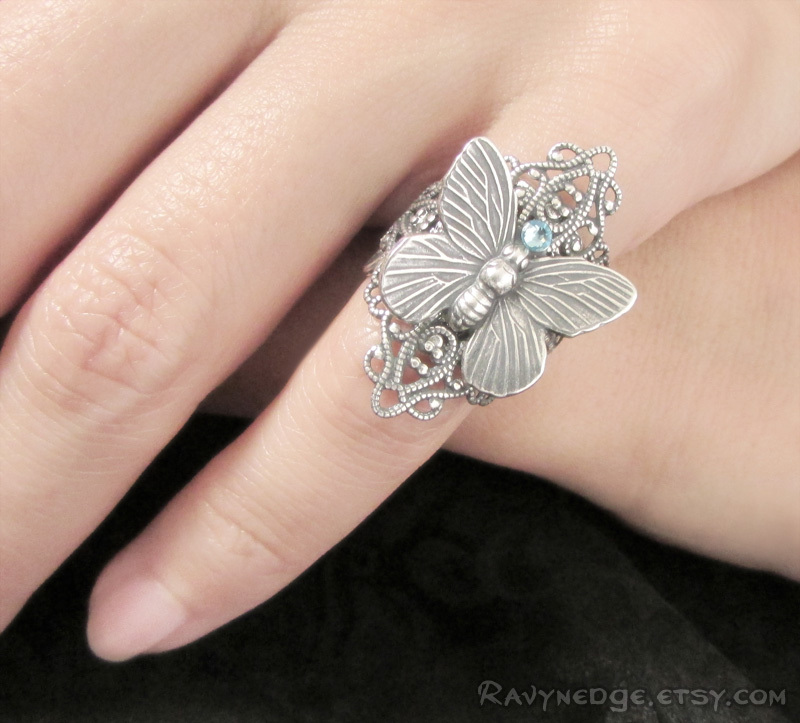 Chasing Butterflies Knuckle Ring - Adjustable Midi Ring or Pinky Ring by RavynEdge. 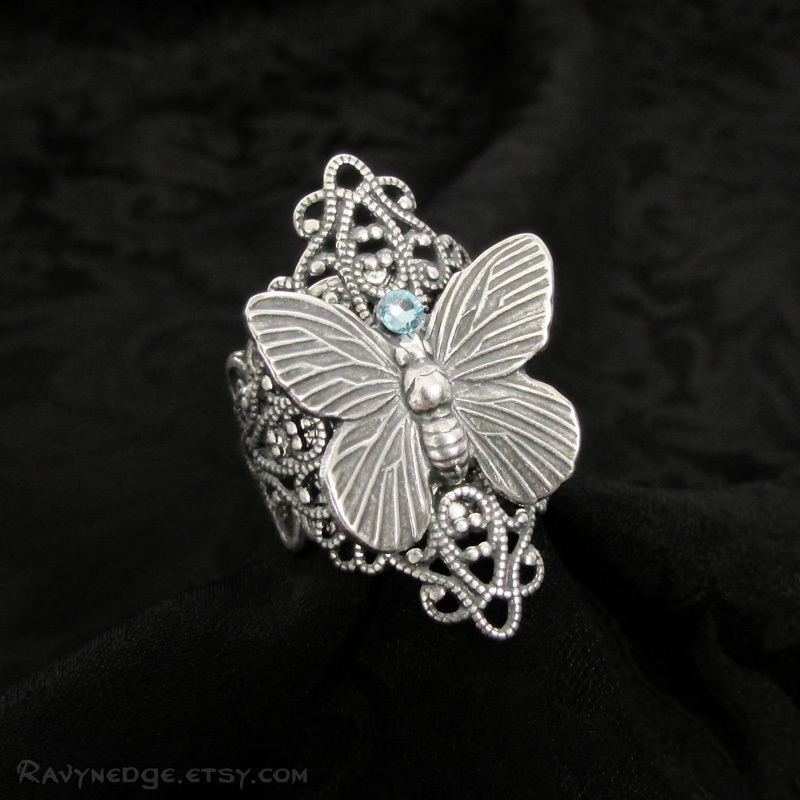 A sweetly detailed butterfly alights upon your finger with this dimensional ring made from ornate sterling silver plated brass filigree and an aquamarine Swarovski treasure. 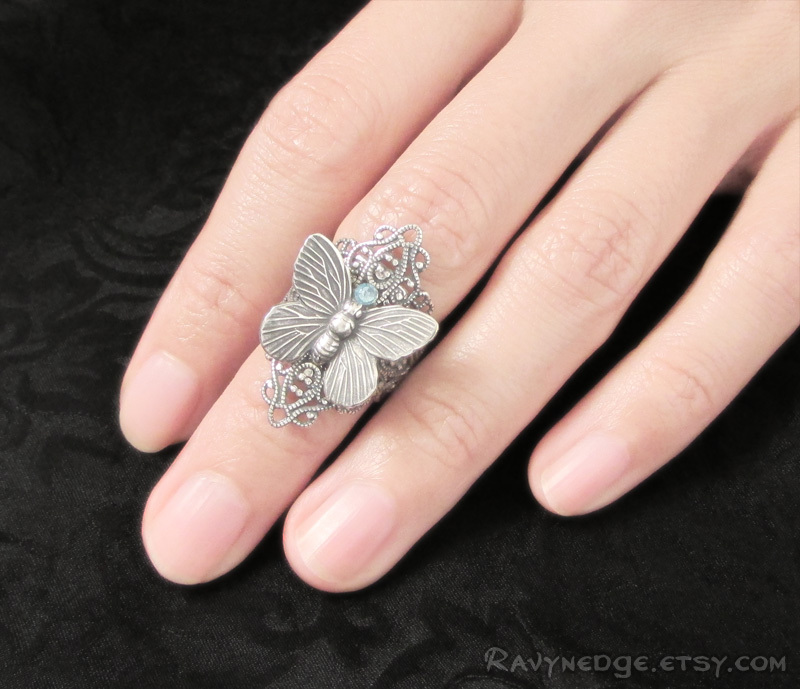 Wear it as pinky ring or above the knuckle as a midi ring for a unique look! Can be made with a different color crystal. 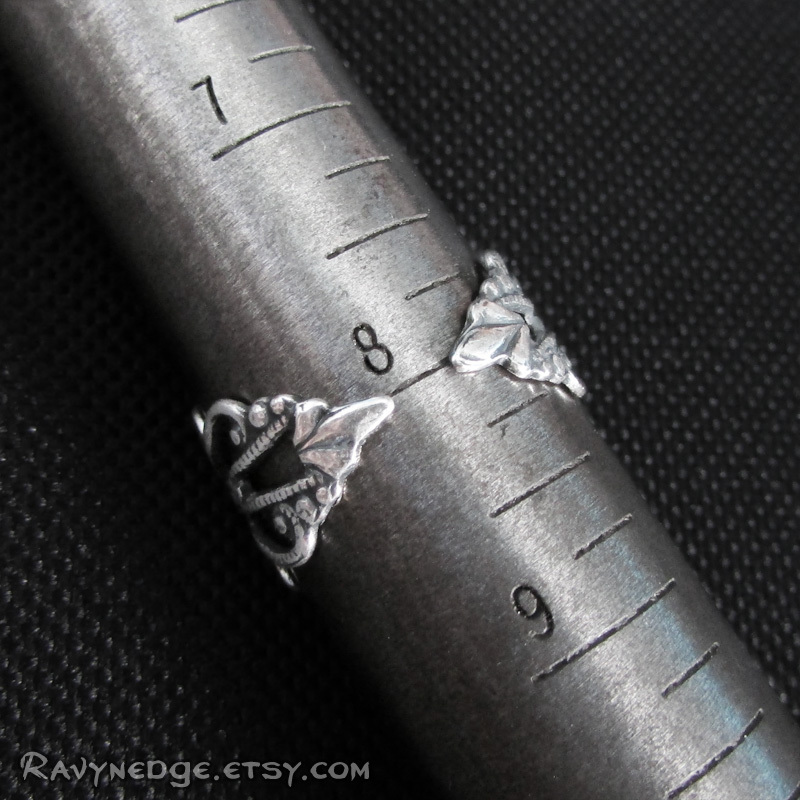 Adjustable to fit most finger sizes. At sizes larger than 7 US there will be a gap under the finger. 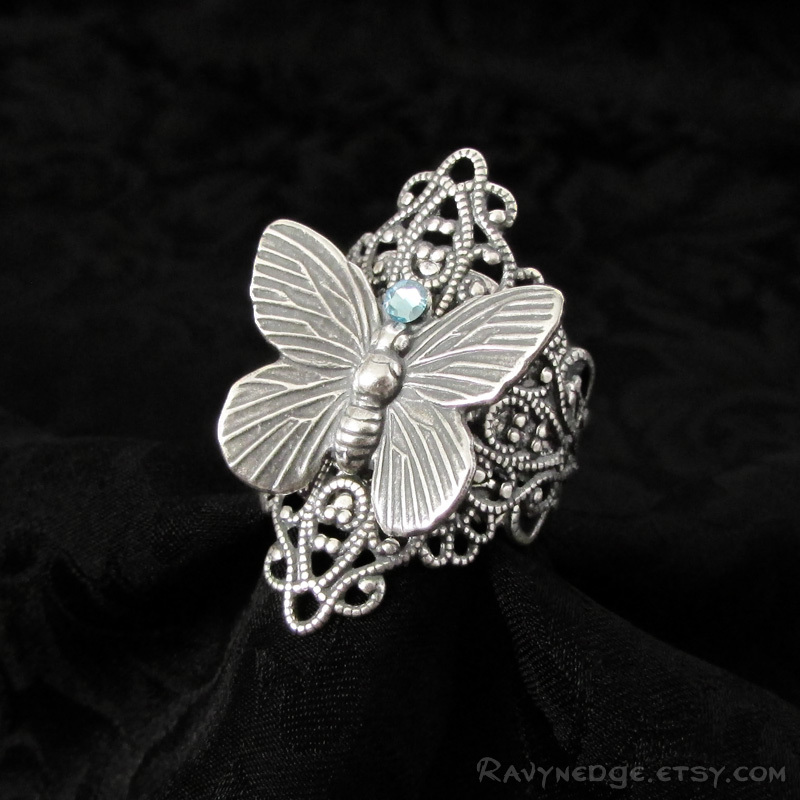 Made of sterling silver plated brass with an oxidized finish to give that wonderfully romantic and gothic look with a vintage appeal.